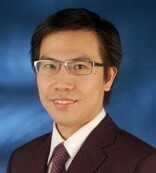 Yen-Jen Chen, Chih-Chung Wang, and Jr-Jen Huang are all with the Department of Electronic Engineering, Ming Chi University of Technology, Taiwan, R.O.C. (Email: yjchen@mail.mcut.edu.tw, a6116122@mail.mcut.edu.tw, jrjen@mail.mcut.edu.tw). Cite:Yen-Jen Chen, Chih-Chung Wang, and Jr-Jen Huang, "An Implementation of Rate-Adaptive IPTV System on DSP," Journal of Advances in Computer Networks vol. 1, no. 1, pp. 11-17, 2013.